Active solar devices such as photovoltaic solar panels help to provide sustainable electricity for any use. Electrical output of a solar panel is dependent on orientation, efficiency, latitude, and climate--solar gain varies even at the same latitude. Typical efficiencies for commercially available PV panels range from 4% to 28%. The low efficiency of certain photovoltaic panels can significantly affect the payback period of their installation. This low efficiency does not mean that solar panels are not a viable energy alternative. In Germany for example, Solar Panels are commonly installed in residential home construction. Solar water heaters, also called solar domestic hot water systems, can be a cost-effective way to generate hot water for a home. They can be used in any climate, and the fuel they use--sunshine--is free. 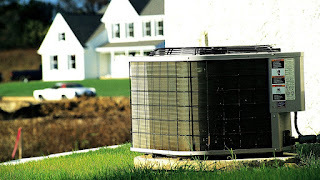 For areas not located in temperate climates, ground-source (or geothermal) heat pumps provide an efficient alternative. The difference between the two heat pumps is that the ground-source has one of its heat exchangers placed underground--usually in a horizontal or vertical arrangement. Ground-source takes advantage of the relatively constant, mild temperatures underground, which means their efficiencies can be much greater than that of an air-source heat pump. The in-ground heat exchanger generally needs a considerable amount of area. Designers have placed them in an open area next to the building or underneath a parking lot. The term "sustainability" in relation to architecture has so far been mostly considered through the lens of building technology and its transformations. Going beyond the technical sphere of "green" design, invention and expertise, some scholars are starting to position architecture within a much broader cultural framework of the human interrelationship with nature. Adopting this framework allows tracing a rich history of cultural debates about our relationship to nature and the environment, from the point of view of different historical and geographical contexts.